That’s right! 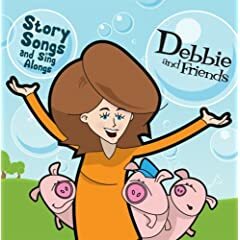 Debbie and Friends is taking on bullying with a new dance number called “Walk Away,” and we’re excited to share a sneak preview with you! The cartoon music video is in production right now. The following is our rough sketch storyboard version. As you know from previous cartoon music videos, the storyboard contains the song and the general visual direction of the cartoon. After the storyboard is approved, the animators start the hard work of coloring and animating. It takes 30 drawings for every second of animation, so there is a lot of work ahead! The band and I hope you enjoy the new song. “Walking away” is one of the strategies taught for dealing with bullies. I hope it proves helpful for some of our young friends who may experience bullying. The final version of the cartoon music video will be ready in September!